Progressive learning and skill development criterion that identify and define each successive certification necessitates presentation of all materials, techniques and tactics subject to that learning state. Students demonstrate understanding, acceptance, and application of these criteria in hands-on, supervised practices and actual mission applications. Instructors evaluate each studen's progressive understanding of practical tracking use and demonstrated skill development. Psychologists describe human skill acquisition and mastery as four distince and progressive stanges of learing and skill development; basic, apprentice, journeyman and master. The JHPTS program follows this know skill developmentpatternb and utilizes the equally well known and accepted concept of three traning levels of each progressive stage of knowledge and skill development. We recognize the value of additional hands-on practice and learning by establishing local In-House traning classes. This more regular training is accomplished by JHPTS Designated Trainers and Lead Trackers strictly following procedures, practices and methodology prescribed within the JHPTS In-House Training Manual. This localized training program provides uniform training on a more frequent basis for everyone. These classes run from 4 to 16 hours in length. 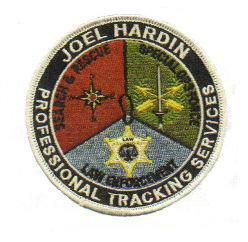 Joel Hardin Professional Tracking Services, Inc. and its partner, Visual Tracking and Training, Inc concuct three day classes of 24 hous and specialized 5 day classes that provide students with intense and in-depth training in a customized and condensed format. A sponsoring agent such as TRAC organizes and hosts the training, while JHPTS/VTATI Instructors observe, evaluate and train each student to his or her level of tracking abilitiy and need. Each learning stage or level of training requires the student to complete a skills book of learning requirements and the number of hours needed to complete each learning criteria. An experienced tracker can also "challenge" or take a tracking evaluation for certification. The applicant for certification must meet all the required criteria, be recommended by an Designated Trainer, Instructor and/or Lead Tracker to the Lead Instructor at a Sanctioned Class for observations, evaluation, assessment and possible certification. Tracking is a "perishable" skill. If you don't use it, you loose it. Certification awards in the JHPTS program are valid for a period of twlve (12) months from date of issue with a three (3) month grace period, providing a total of fiftee (15) months for testing, re-evaluation and certification. All certified studens must, to maintain current certification, 1) attend a regularly sanctioned JHPTS training event of not less than 24-hours during this fiften (15) month period, and 2) be ACTIVE by demonstrating, articulating and exhibiing that they are fully maintaining all certification criteria at their current certification level. Students not meeting re-certification criteria will be listed as In-Active, until such a time as they complete re-certification requirements. JHPTS acknowledges that the JHPTS program identifies each student new to the training program as a Novice student. The Novice learning level acquaints each student with the JHPTS concept of professional tracking and how that differs from the usual understanding. 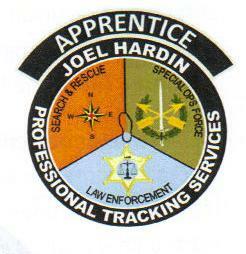 Many experienced trackers enter the JHPTS training program as a Novice. They may have extensive tracking experience, but are listed as Novices due to the unfamiliarity with the tenets and methods of the JHPTS Program. However, the JHPTS program presumes that every Novice student comes to their first JHPTS sanctioned or In House introduction class with little or no knowledge of what we do, how we do it, or what they will be able to achieve through training in the program. This Basic training stage encompasses all persons interests, objectives, and purposes. This is the first stage of learning to see and recognize the physical evidence of the presence or passage of humans. Students learn to see that which others look at, but do not see, to recognize what human sign is, and to believe that wherever anyone walks they create sign. This level of training expands the tracker’s awareness to learn about and deal with inter-personal team member issues, elements of sign cutting, sign recognition components, the beginnings of more complex aging of sign, what sign maker characteristics are and how they tell the story. Apprentice training is primarily the process of ensuring that the basic JHPTS tracking information, history, methodology, practices and principles are so well cemented in the students mind that response as such is sub-conscious, full and complete. 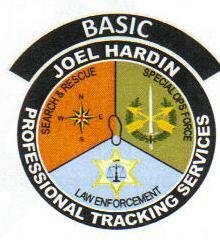 Advanced formal training begins in learning and understanding when, where, and how to apply which tracking techniques are proper to a particular event. These advanced tracking practices, techniques and tactics each have hundreds of possible variations which must be personally experienced by the student tracker in order to be recognized and know. More complex sign aging issues and situations become a regular part of training. 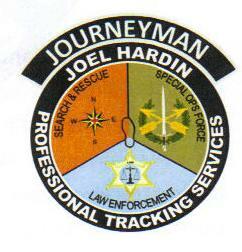 The Journeyman Tracker learns how to put together all the training that he has received up to this point. This learning stage encompasses the broad spectrum of in-depth education to sufficiently equip the tracker to reason and professionally affect successful solutions to most tracking situations. He must exhibit and demonstrate leadership competence and full confidence in his knowledge and skill applications. 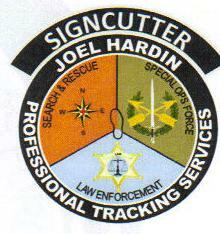 “Sign Cutter” is the historical U.S. Border Patrol term and title denoting those persons having reached the level of knowledge, a broad spectrum of tactical experience, and peer level recognition of superior tracking skill equating to a Master Tracker. The term “master” has many definitions; exceptionally gifted or skilled in an art, craft or science; one who has achieved the status of a highly skilled workman or craftsman qualified to follow their trade independently and usually to supervise the work of others; a teacher, instructor, supervisor, an expert, one possessing great executive ability; one who is vigorously bold or authoritative in conduct, decision, and manner. All of these definitions are appropriate to describe those awarded the JHPTS Maser Tracker, Sign Cutter certification.